Cloud IT is the future of small and medium business technology management that greatly reduces the cost of setup and IT management overhead, letting you focus on your business and not your IT; let Network Depot handle all your cloud services. Imagine being able to expand many of your company’s capabilities without needing to purchase hardware or worry about running and maintaining it in your office. 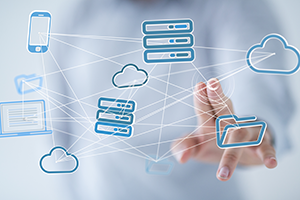 With the cloud, it is possible to get the benefits of a secure, expertly managed data center without the costs required to purchase and run your own equipment. Get enterprise-level cloud solutions for affordable small business prices. Network Depot’s Cloud solutions can grant your business new capabilities to improve your day-to-day operations without the extraordinary start-up costs associated with new technology.